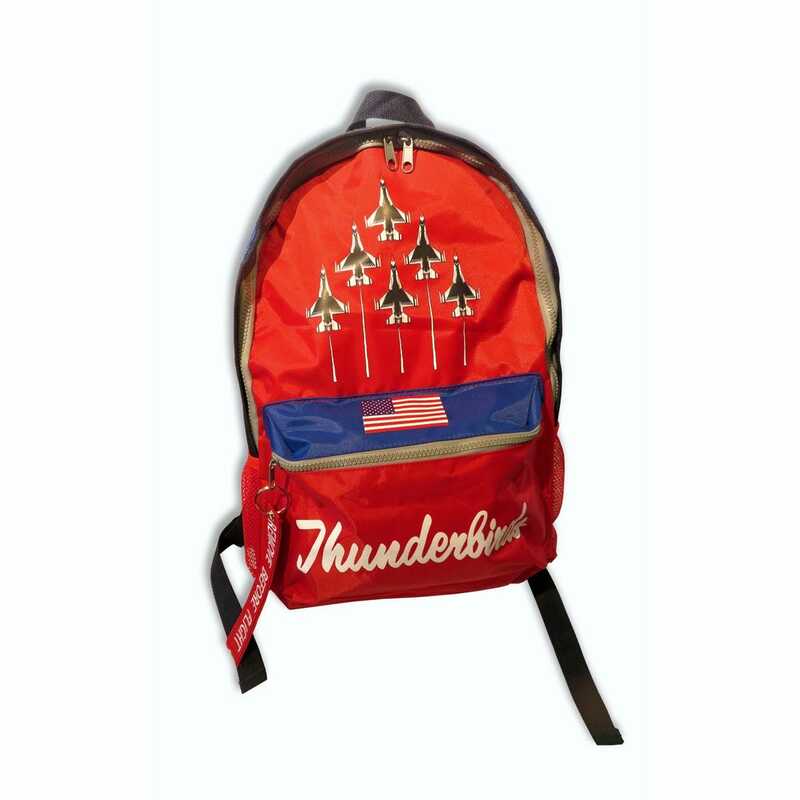 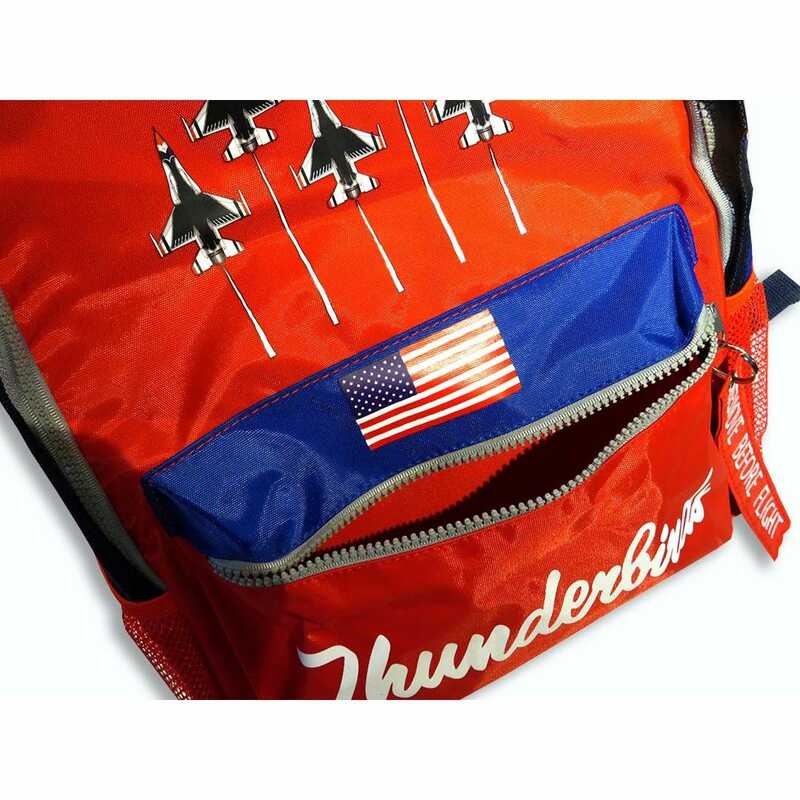 Designed exclusively for the Thunderbirds air show team, constructed of high-quality tear resistant nylon fabric with two mesh water bottle holders and an ergonomic design that’s waterproof. 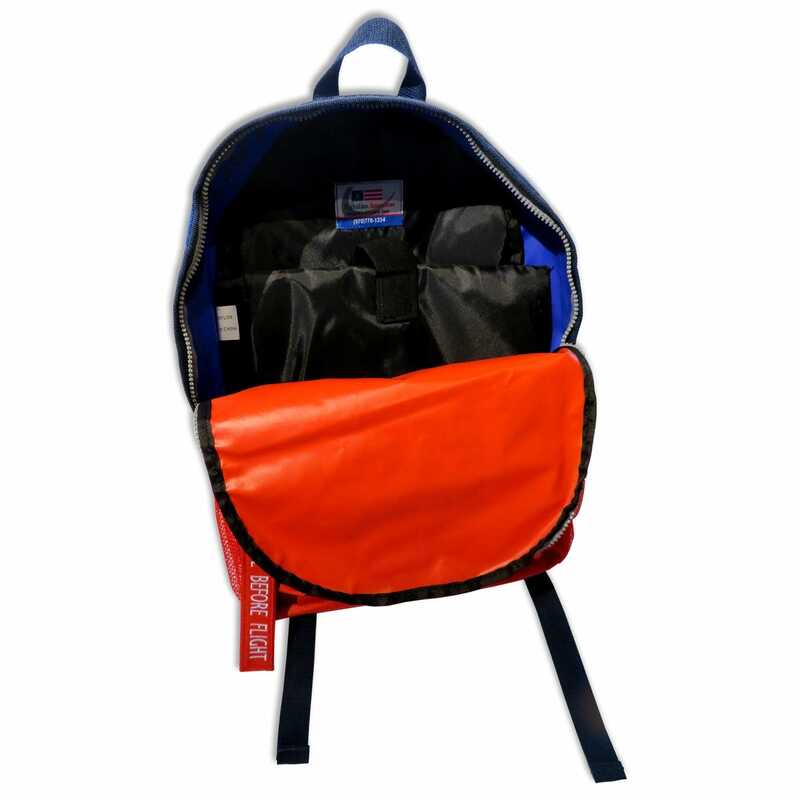 Features three compartments, one is padded to protect larger contents and the other two are for smaller items. 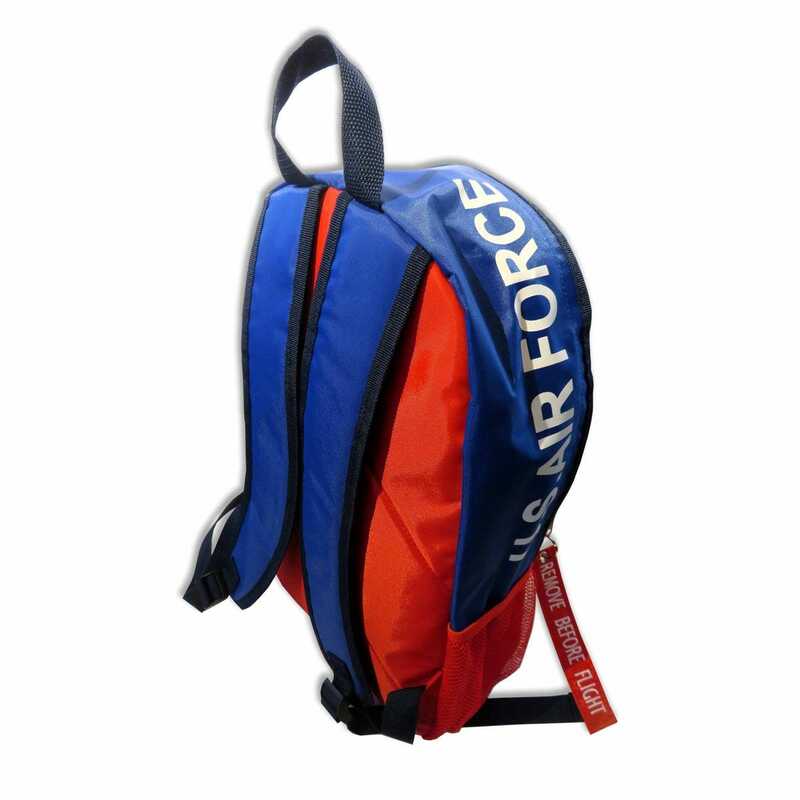 Each Backpack includes an adjustable strap with nylon grab handle. 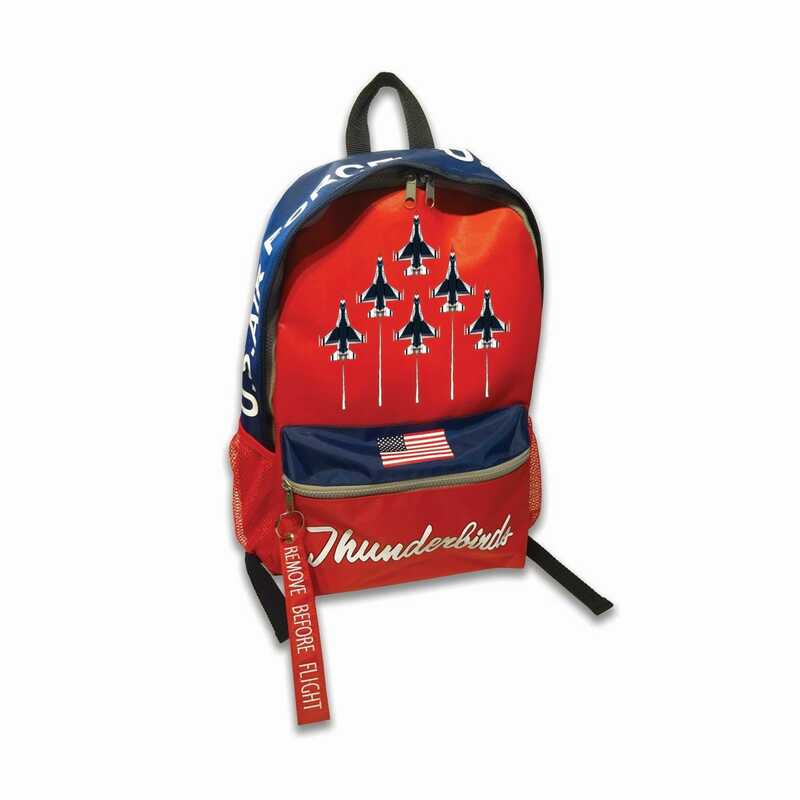 Backpacks measure about 12"l x 6"w x 17"h. A Remove Before Flight key chain is included!